In case you didn’t know, running in Oregon and running in Arizona is very very different. For one, the air in Arizona is extraordinarily dry compared to Oregon. It feels like all your hydration is being sucked out of your body. 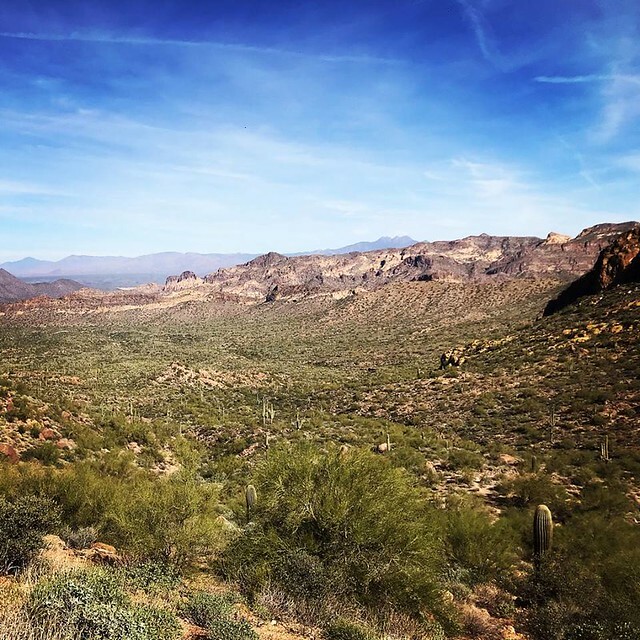 On the morning of November 10, 2018, arriving at the Usery Mountain Regional Park for the Pass Mountain 50K, I was feeling 2 days of this dryness catching up to me. My husband and I decided to go to the Scottsdale area on vacation with our best husband and wife friends. The guys wanted to golf and the girls wanted to run. 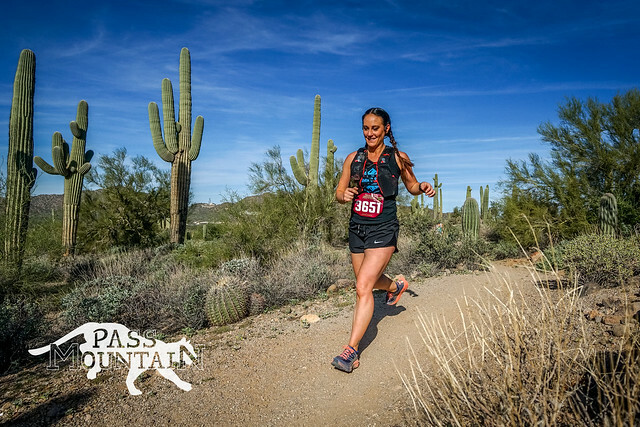 When I checked our potential vacation dates for ultra races in the area, I was thrilled to find Pass Mountain. 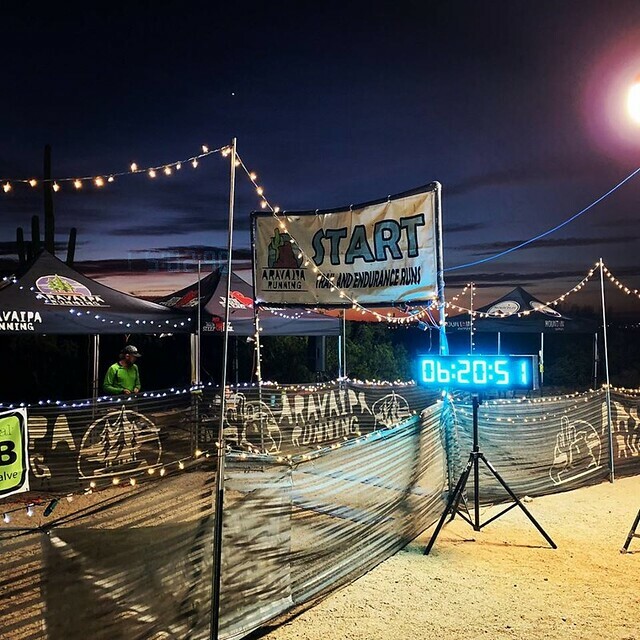 I had watched tons of Aravaipa’s, the racing company putting on the Pass Mountain race, YouTube videos and really thought they put on awesome events. Now, imagine my excitement when I saw there was an option to “double down” and do another race that evening! Um, sign me up right now!! With that, I was registered to do the Pass Mountain 50K in the morning and the Punisher Night Run 20K at night. 70K in 24 hours, the perfect vacation! 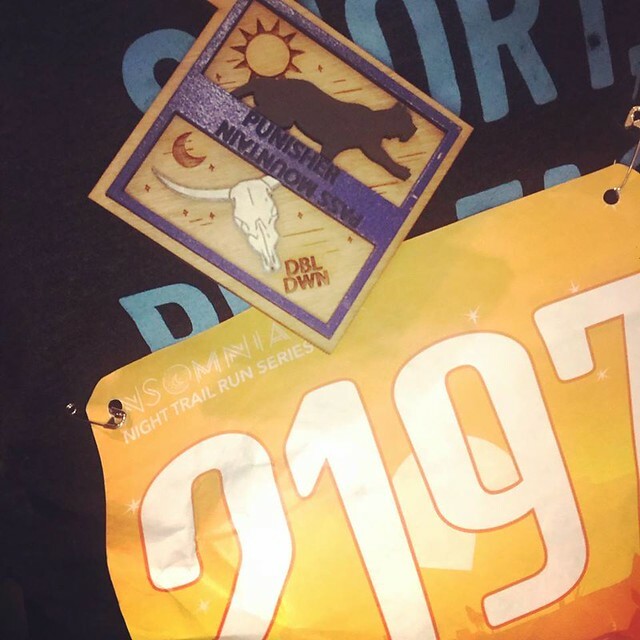 So here I was, thirsty, dry and lined up to run my first out-of-state ultra. I was excited and nervous. I had no idea what to expect and that was a huge part of the fun of it. The 50K course was two loops of the 25K course and the elevation map showed steep inclines and fun descents. The race started and I was already immediately a little off my game from the terrain difference. I am used to dirt packed, lush single lane trails. Here, it was sandy, rocky and you had to be quick on your feet to hop around rocks and to glide through soft sand. It was a really fun difference! Around us were cacti and huge cactus looking plants that I learned were called Saguaro. It was beautiful but I couldn’t help wonder what happens to runners here when they need to pull of the trail for a quick bathroom break. Everything is WIDE open and you can see forever. This particular trail we were on, beyond the desert plant varieties, you could see gorgeous rolling mountains. 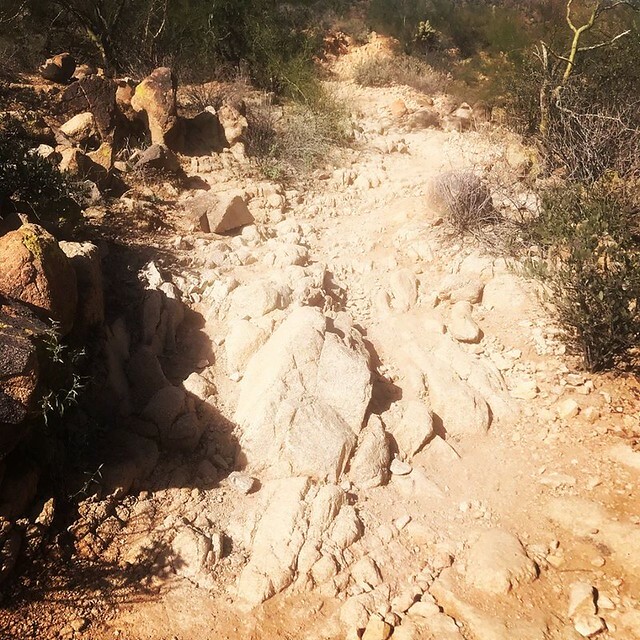 It was quite stunning and I loved chatting with Arizona runners around me about how pretty their trails were. We discussed the upcoming climbs we would be experiencing and the trail technicality. At just under mile 4, we hit our first aid station, and for the first time in an ultra, I wasn’t ready to stop and blew past it. I am used to big climbs immediately in a race and I was happy that we had done a nice relatively flat trail up until now. I continued and reached the next aid station a few miles later. This one I stopped at to take off my arm warmers as the day was starting to heat up and filled up my bottles with the awareness that our next aid station wasn’t for another 8.6 miles. What I failed to prepare for, was the amount of water that you drink in the desert. Here is where I look back and know I should have wore a water bladder as opposed to my two soft flasks. I went through my water within a couple miles and was parched from then on out. Around mile 10, we start a fun climb. The climb started with rocks that you bounced along before climbing, practically hands on ground, up a big rock hill. It was a really neat experience because it was so different. All around us were mountains and endless views of the neighboring cities. It was breathtaking in more ways than one. The climb lasted about 2 miles and then came a nice descent. It wasn’t a steep, leg-destroying downhill like I was used to, so appreciated the ability to feel good and push a little extra. And with that, we were back to the start line to do the loop all over again! The second round of the course was a bit of a different experience. I had loaded up on potato chips and water for my bottles at the mid-way aid station but I was hot and dry. It wasn’t a hot day but I am also not used to the sun beating down on me, ever, let alone for hours on end. I chatted with some of the awesome volunteers at the aid stations and they chuckled at my unpreparedness for the sun. It was quite funny. Everyone else had hats and bandannas etc. and here I was, this ignorant Oregonian with my two soft flasks dying of dehydration. 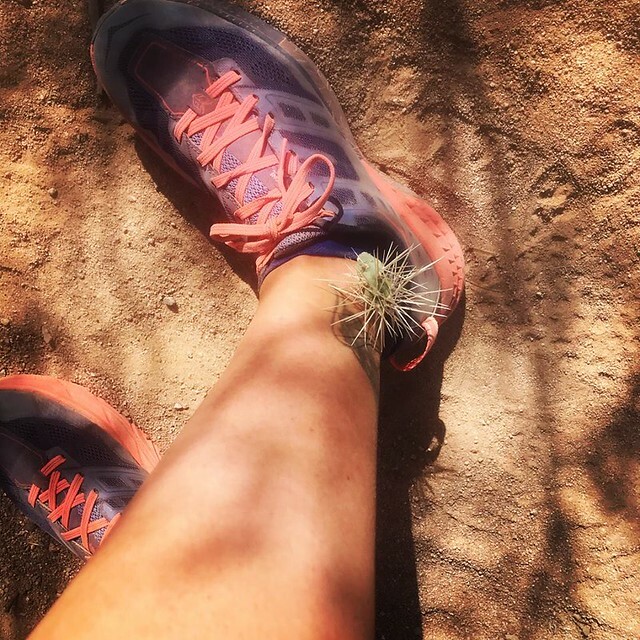 One hilarious thing that happened that helped to take my mind off the dryness was a little cactus ball that jumped up and attached itself to my ankle. It came out of nowhere and I was told later they are called jumping cactus for that reason. It hurt and was really stuck in my leg! It took a little navigating but I was able to pull that sucker out and continue on course. I hit the same aid stations and by the last one, I knew what I was in for with a long climb and time without water. I tried to prepare myself as much as possible by sucking down water and refilling. At this point, we were so spread out that I hadn’t even seen another runner the entire second loop. 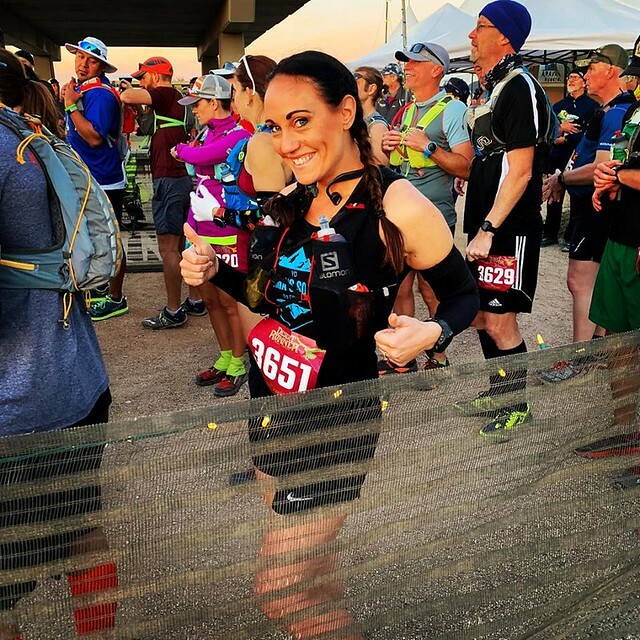 As I approached the last three miles, I started to see runners and it breathed new life into me. I was able to use them to pull me in mentally. I crossed the finish line and was awarded with an awesome glass commemorating the 32 miles I had just completed. I went straight to the aid station and claimed my vegan hot dog that was part of the amazing feast put on for the runners. Four hours later and with dry clothes on, I returned to the exact same start line, only now it was nighttime and everything was different. I strapped on my RunLite Gloves and prepared to tackle the technical terrain with limited visibility. I was running the 20K and the 30K started before us and the 10K after, so I knew there should be a decent amount of little floating lights along the trail. I was lucky that the course followed very similarly to the course I had just ran. The biggest difference was that we cut that pesky climb out of the mix. The first loop went without a hitch. It wasn’t as hard to navigate the trails in the dark as I had thought but definitely took a few pauses to figure out which direction to go. The second loop, again, I was pretty by myself. I was feeling good and pushing hard. About 2 miles or so into the second loop, I hit a point where I must’ve missed a turn. I was suddenly on a trail that didn’t feel familiar but I was scared to turn back for the reason that I had zero idea where I was going. I waited a bit to see if any runners came along. When they didn’t, I decided the best thing I could do is continue and hope I wasn’t lost in the desert and was on course. A few minutes later, I burst out of my trail and on a new trail where I saw lights of runners ahead. I felt at this point that I MIGHT have missed a turn but I wasn’t sure and there was nothing I could do now. I continued to run and continued to push. I passed the aid station on the course and continued with a wave as I went into my final few miles for the day. I met the nicest people along this race. So friendly and easy to talk to. A little bit later, I crossed the finish line and was handed a glass and an awesome double down medal. I was announced as first place female. I looked at my watch and the distance on it. It was a little bit off. Not a ton, but enough that I felt like I might’ve turned wrong and didn’t feel comfortable claiming the win. I sadly and very disappointed in my navigational skills, went over and told them to DNF (Did Not Finish) me from the race. Though there was a chance I didn’t miss the turn and my watch was just off like it had been hundreds of times, I didn’t feel comfortable taking a win I didn’t 100% know if I deserved. 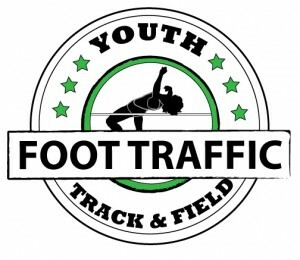 The event and staff and volunteers at both these races were incredible. The terrain and course was so different and fun. It was beautiful and was a fantastic way to see a new state. This event was put on perfectly and all the expectations I had of Aravaipa were exceeded. The starting line was covered in beautiful little lights and they had picture backdrops and a store of merchandise out in the desert. It was these little things that made the event and made it so special. 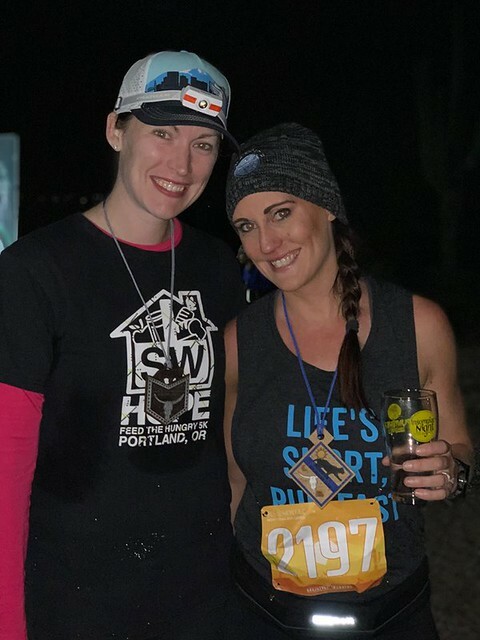 As nervous as I am for running my first 100K in a few months, I am thrilled that it is an Aravaipa race and I will be in good hands and have a great time. 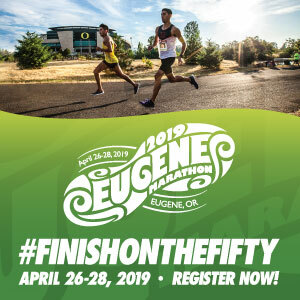 If you are looking for a fun out of state run, any of their races would be phenomenal choices!